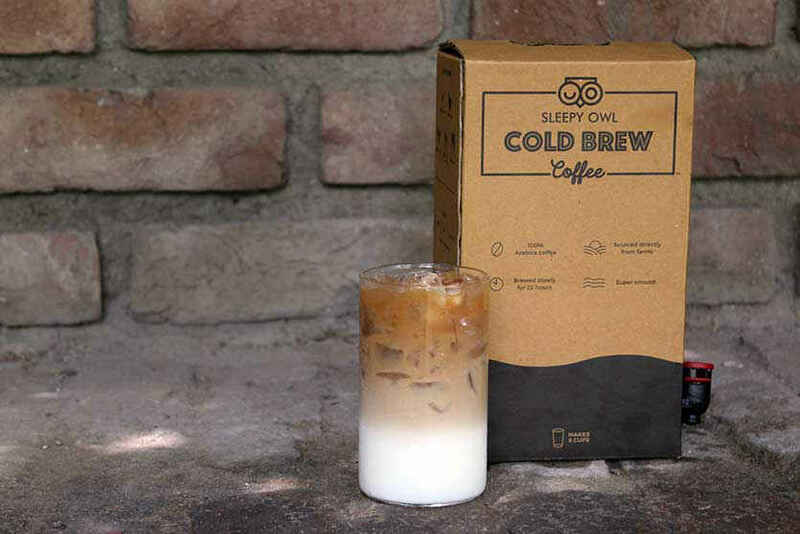 Jolting us Awake With Their Revolutionary Cold Brew Coffee, We're Lavishing Fulsome Praise on Sleepy Owl! Tripping along over to our sleepy-eyed office to happily chase away our mid-week Thursday blues, Sleepy Owl came trudging in with twinkling eyes and fresh coffee in tow! Little did we know that coffee as we knew it was about to change! Rudely awakened by the promise of the freshest coffee, we moved in closer to see strange, cute little containers with little taps stuck on them and huge bottles of cold milk. Confused? Yeah, we were too! We&apos;re now going to introduce you to the concept of &apos;Cold Brews&apos; (not to be confused with chilled pints of beer obviously)! It&apos;s simple really, traditional iced coffees are prepared using hot shots of espresso poured over cold ice cubes; Cold Brews, on the other hand are choice, freshly ground Arabica coffee beans that are thoroughly steeped in chilled water, brewed for around 21 hours (ok, wow!) and then meticulously filtered twice to give you the best damn coffee you&apos;ve ever tasted *swag-ful grins*! And we haven&apos;t even come to the best part yet! These guys needed a container that could keep the cold brew air-tight, fresh and make the brew last without adding any unhealthy preservatives. So what did they do? They went online, hunted up another original soul like themselves and had a custom-made, revolutionary container designed that holds around 1.5 litres of brew (which gives you around 8 -10 cups of bliss) and holds a self-dispensing, cute little tap, ensuring the brew remains air-tight and always ready to be glugged down! On top of it all, their cold brew is 60 - 70% less acidic and can be perfectly blended in with various flavors like cinnamon, hazelnut syrup or even - get this - gin and tonic (omg omg!)! They happily demo-ed their product for us right here in the office and made us some slurp-worthy, delicious coffees - take a look! Smooth Black Coffee | Prepared using lots and lots of ice cubes, a hearty shot of Sleepy Owl&apos;s cold brew (fill it up to the brim) and a dash of water to taste and voila - your morning pick-me-up is ready! We especially liked this one since it was chock-full of the caffeine we can&apos;t live without, and yet wasn&apos;t too bitter, as is the case with most coffees that aren&apos;t very fresh. 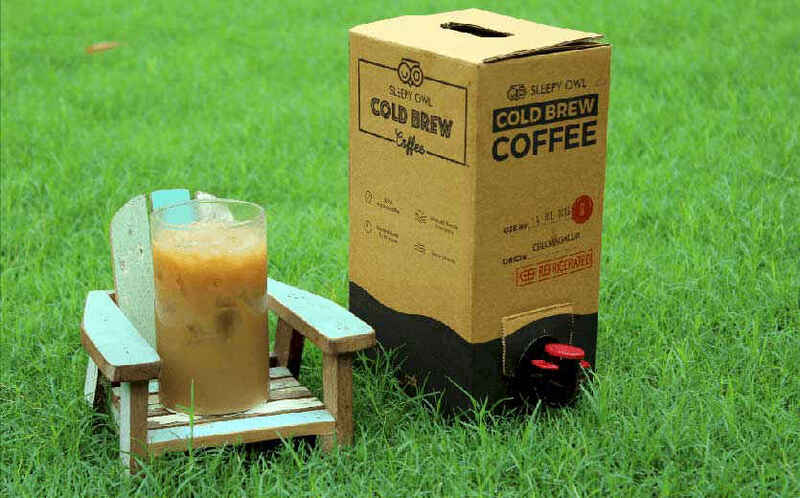 A box of their cold brew would cost you Rs 550 (serving 8 - 10 glasses), and their short-term subscription box containing 3 boxes would set you back by Rs 1,500. They&apos;re currently happily delivering all across Delhi, Gurgaon & Noida, so get in there! 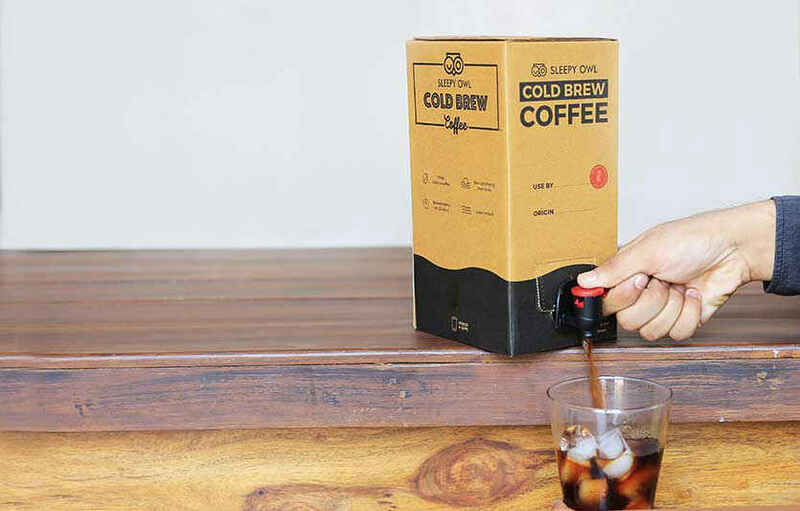 So now that we&apos;ve already tempted you enough, how about you go check out their cute website, and take their delicious cold brew coffee out for a spin - you know you want to!